Aside from fungi there are many indigenous and non-indigenous plants that are toxic to humans and animals. Plant poisoning is a more important veterinary problem but plants do cause accidental poisoning in humans. 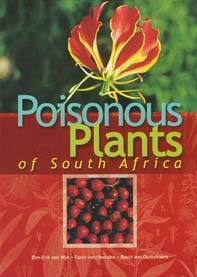 Also, some poisonous plants are used in traditional medicine. In the 1930's unusual cases of "bread poisoning" occurred in poor people in the Cape; the wheat flour was contaminated with Senecio. 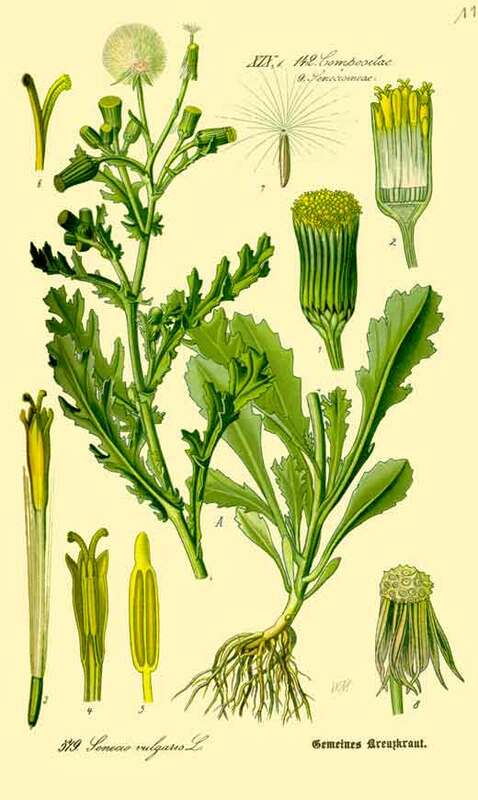 Senecio (ragwort) is a weed that grows in wheat fields, and poisoning of horses and cattle is well known. 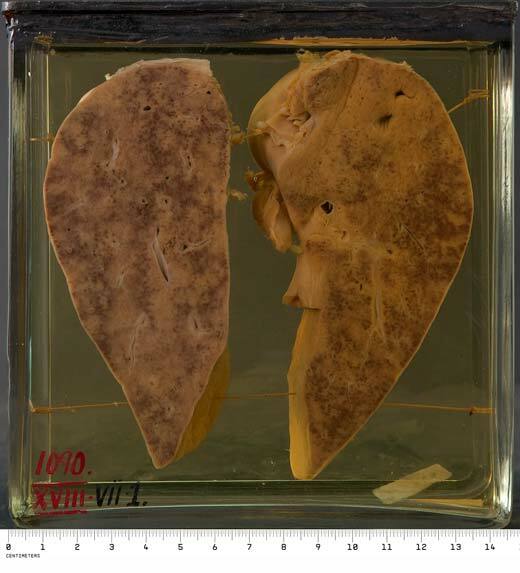 The case reports of the human poisonings from near Knysna and Citrusdal were published in the American Journal of Pathology, and specimens are still held in the UCT pathology collection today. This specimen was from a 10 year old girl who presented 7 weeks after eating "poisoned bread". She had severe abdominal pain and swelling (ascites), with jaundice and an enlarged liver. She and her two brothers died similarly after weeks of suffering the symptoms of pyrrolizidine alkaloidosis. Pyrrolizidine alkaloids found in plants such as senecio are now a recognised cause of veno-occlusive liver disease in humans. Although acute and chronic senecio poisoning of livestock and horses is a far more widespread problem in South Africa, senecio poisoning in humans may be more common than is generally recognised since the plants are used in traditional medicine and sometimes even eaten as spinach. There are over 300 species of senecio in South Africa; the culprit species in our cases was probably S. inaequidens which occurs in the Western Cape, but elsewhere and particularly in KZN S. latifolius is most often implicated.